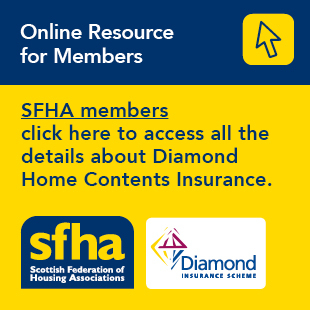 From today, Housing Scotland Today e-newsletter is in a new and improved format which reflects, and has been integrated with, the new SFHA website. It features stories and updates from the SFHA, news from members as well as current jobs online and tenders. The new look and feel for the e-newsletter means that each story has been summarised and can be read in full on the new SFHA website. Most stories can be read in full by everyone - exceptions will be articles only for SFHA members, who need to be be registered and logged in to view these extra features. If you have subscribed for the e-newsletter you won’t need to do anything, you will receive Housing Scotland Today as normal each day. One of biggest differences that you will notice is your personalised ‘My SFHA Account’ page when you log in. From this page, you will be able to update your details and tailor the news topics in this area. When logged in, you will also have full access to SFHA news articles, policy updates (found in the ‘What We Do’ section) associated downloads, and listings of upcoming events. Take a look and find all of the latest information and guidance. You can view the new responsive website on your mobile, tablet or desktop computer. This new digital hub will streamline your experience as a member, helping you to quickly find the information you need. Showcasing your news is easier than ever. The website, complete with new design and functionality, is intuitive to use and now allows you to upload your member news and job adverts as well as your tenders. If you have any questions or feedback about the e-newsletter or website you would like to get in touch, please fill in the form on our website here.